• Shadowbet Casino Review - A Modern & Well Designed Website? According to this site, ‘In the world of ShadowBet, everybody is unique. All barriers and prejudices disappear. You can finally feel free and extraordinary.’ As a 600-pound-primate our Casino Gorilla has always felt pretty extraordinary, but he is happy to go along with this concept. This casino is run by the same organisation responsible for popular online casinos like Rizk, Dunder, CasinoPop and many more, so they know how to make a successful casino. Here at ShadowBet Casino players fill the ‘entertainment bar’ and can then play the special ‘Orouboros’ game to win various prizes. This is a beautifully designed site which will appeal to a wide range of players. The first deposit you make of at least a tenner will will get you 100 free spins. It will require a bigger investment to take maximum advantage of the second bonus offers: £50 to get the bonus of £25. 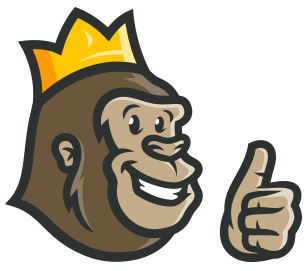 It’s not a bad deal, but the Casino Gorilla was certainly not impressed by the very large wagering requirement of 35 times both deposit and bonus, which is going to require a lot of luck to cycle through. The 100 free spins which come along as part of your welcome bonus will be released in ten instalments of 20. These spins can be used on the Play and Go slot games: Book of Death or Royal Masquerade. Should you win anything from these free spins – and with 100 of them we certainly expect you to get at least a few winning spins! – you must wager those profits 35 times before they can be released. There is no requirement to enter a bonus code to claim any bonus package from ShadowBet Casino. All that is needed is to make your qualifying deposit of at least £10 and the bonus will be automatically added to your account. Should you need to enter a code to take advantage of future offers then you must do so when you make your deposit. ShadowBet offers its players a nice range of live casino games – there are more than 25 to choose from at the moment. If you are a fan of blackjack or roulette you will find plenty of variations of both here. These include Dragonara Roulette, which is live streamed directly from the famous old casino in Malta. Baccarat fans also have some different choices, and there are poker games as well. Not as full of options as some of its rivals, but plenty of options just the same. The ShadowBet mobile app for Android or Apple is compatible with all modern smartphones and tablets. Most of us prefer to have the option to play on the move if we wish, and that is not a problem with the modern ShadowBet Casino. With new slot games designed specifically with mobile play in mind, you can enjoy the best gaming action no matter where you are. The choice of payment methods shown below will vary by country but should provide quick and easy ways to deposit and withdraw funds. Minimum deposit is £10 and the minimum amount you can take out is £20. Withdrawals go up to £5,000 per transaction, but if you hit the jackpot and need to take out a larger sum you should contact customer support to see if they can help you out. Depositing funds is free, although you may be charged a small fee for making withdrawals. This casino is called ShadowBet but there is nothing shady or suspicious at play here. The Casino Gorilla can’t stand sneaky or slippery behaviour, but there is nothing of that nature going on here. It is licensed by both the British and Maltese gaming authorities. With those licenses there is no room for flexibility and only the highest standards are accepted. The games are independently tested to be fair and true, so players can join the world of ShadowBet confident that they will be treated well. Support is available at ShadowBet Casino from the hours of 8AM to 10PM (CET) during weekdays and from 10AM to 6PM (CET) at weekends. Live chat is the easiest way to get in touch during that hours, and the professional and highly-trained team will answer any of your queries. There is also an email address if you need to contact them out of hours or to send across any documents. Not everyone can get a virtual ‘visa’ to sign up with ShadowBet Casino. Unfortunately, there is a pretty big list of countries whose residents are not permitted to join. If you live in one of these countries then you don’t qualify for membership: Argentina, Australia, Belgium, Brazil, China, Cyprus, Czech Republic, Denmark, France, Greece, Ireland (sports betting prohibited), Israel, Italy, Poland, Portugal, Romania, Slovakia, Slovenia, Spain, and the United States of America. There are a lot more countries on the full list, so check out the terms and conditions or speak to customer support to see if you are eligible to join. ShadowBet Casino welcomes visitors to the world of the shadows where fantastic rewards up for grabs. One of the most interesting features at this modern and well-designed casino is the loyalty plan which is open to all and which offers excellent prizes like £20 in cash bonuses or 100 free spins. There are hundreds of high-quality games to choose from, including a decent live dealer casino, and this secure site is fully optimised for mobile play. 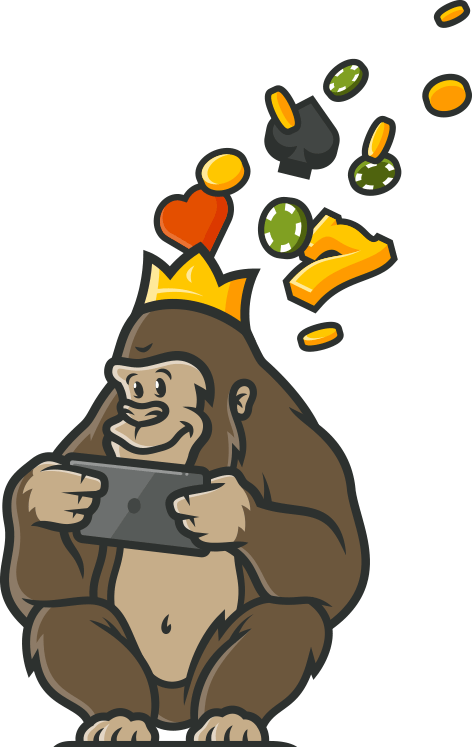 The Casino Gorilla would happily get lost in the mysterious Shadowlands to play at this forward-thinking online casino. Was brought to the site because of the bonuses offered, but the high wagering requirements of 35x was a bot much. There are also withdrawal fees. Great site, but too many hoops to jump through to get bonus winnings. I love binging on mystery movies and thrillers. ShadowBet managed to merge my love for thrillers and gambling into one. However, I do not like any mysteries regarding whom I am giving my money and banking information. So, being the skeptic that I am, I did some digging on whether this casino is safe or not. Fortunately, there are no mysteries about the licenses and secure payments at ShadowBet.